This sessional coffee from Klach is inspired by the classic chocolate bar and features chocolate, honey, and uses almond milk for the base. The aroma of this coffee is of toasted halzelnut and burnt sugar with a slight hint of yeast. The flavors of this coffee are of almond and of chocolate. The honey is a nice sweet touch but does not bring anything to this drink. This Drink is thick and the chocolate is forward with a sweet hint of the horchata. The coffee is on the bitter side and tastes of an over roasted Brazil but they say all their coffee is from Peru. The horchata is very pleasant and not to sweet along with it bringing out the characteristics of the rice. This is a very pleasant and suprising find that is worth a try. This seasional drink by Klatch is made with candy canes and is a blended mocha. The aroma of this drink is of peppermint and light brown sugar. The flavors of this drink are prominent of the candy cane and of chocolate. The coffee is not prominent in this drink and is to me good for people that don't like the taste of coffee. Most of the flavor in this drink is at the bottom and is very consintrated and overly sweet. As the ice melts this drink becomes the taste of peppermint and airplane coffee. This is a very refreshing drink for the Sothern California Winters and would be a great hot drink to. This drink created by Portola Coffee Lab is created by Thomas Ifergan and Bryant Trinh. This is their rendition of a bloody red velvet ice latte, this drink has the flavores of the cake. This drink has no flavors of the coffee coming through. Its is a disappointment that this is not more of a Red Velvet flavor. This drink created by Rick Wheeler Portola. The aroma of this coffee is of navel orange. The orange is center at this with the chocolate coming through at back. This is a great and refreshing hot and cold. Out of the new drinks at Portola's Therom this is the best. 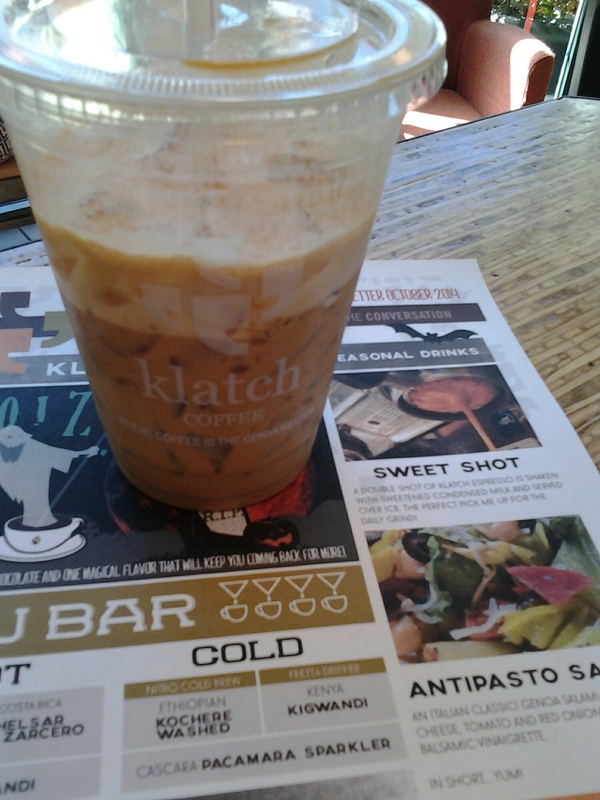 This seasional drink by Klatch is made with a double shot of espresso and shaken with sweatend condensed milk and served over ice. The flavors of this drink are of the espresso that is prominant with flavors of red current, meyer lemon, and bitersweet chocolate. The condensed milk brings out flavores of Mexican vanilla and cane sugar. This sessional drink made from Klatch has an aroma of fresh lemon that is very prevalent. 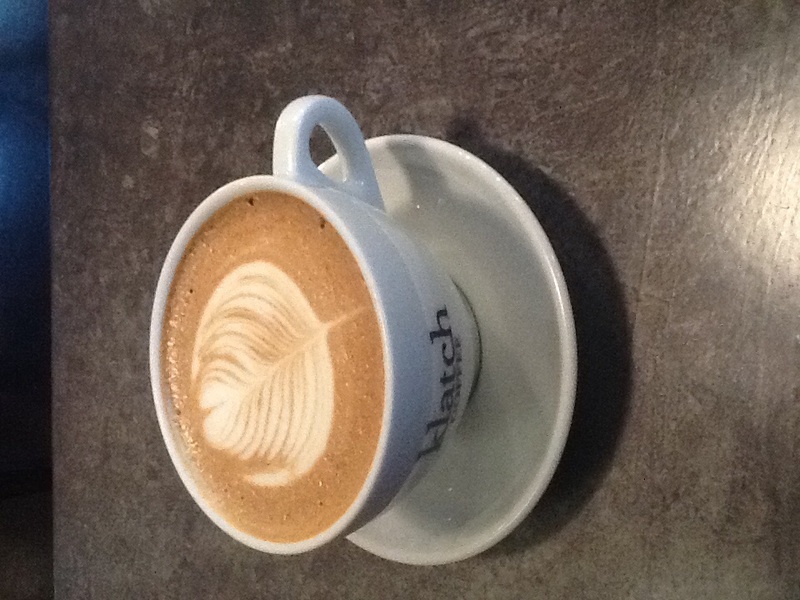 The coffee is made with a brown sugar and ginger syrup made in house and gives it a great kick of spice. 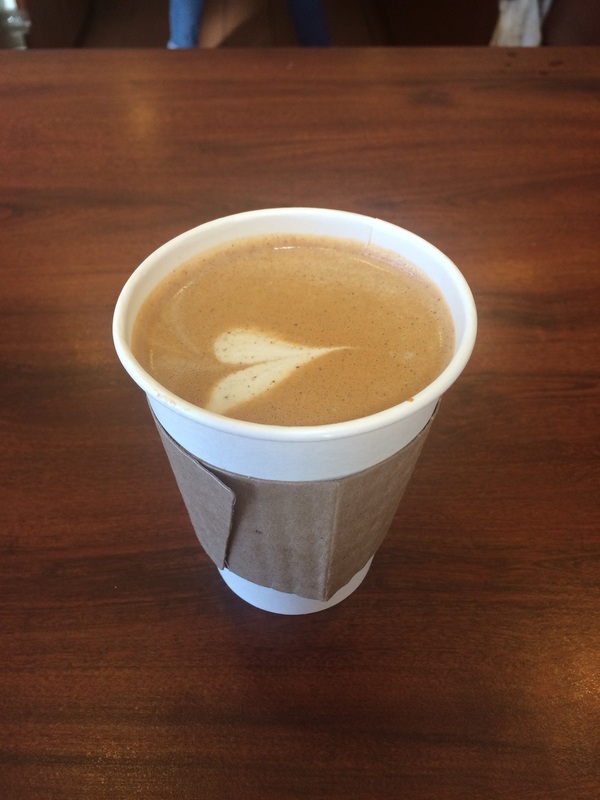 The ginger is not overpowering and rounds this latte with their espresso giving a great chocolate flavor with subtle earth tones throughout. 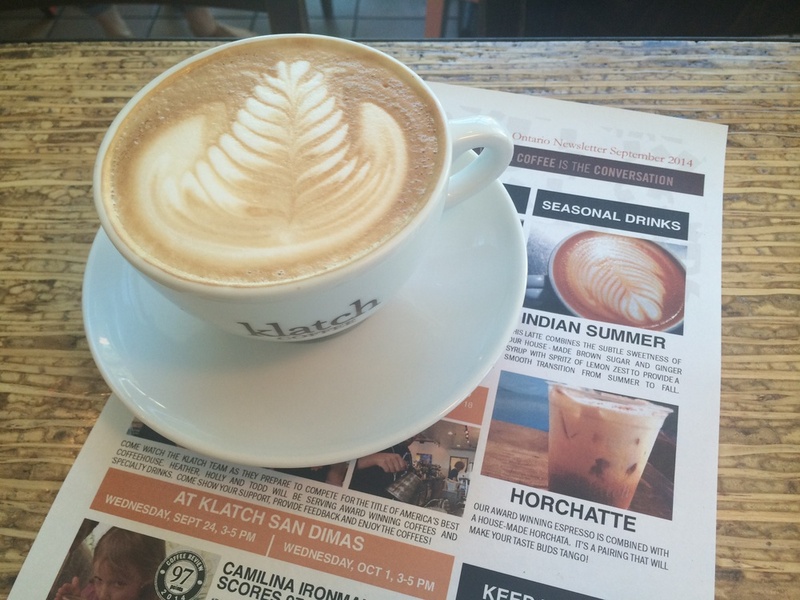 This is one of the best sessional drinks I have had by Klatch and is worth it to seek this out and try. Klatch - The "Arnold Palmer"
This is a new seasonal drink created by Klatch Coffee that features their espresso, brown sugar, and tamarind. The flavors of this drink are over powering with the tamarind. It is on the sour side and the coffee is lost in this drink. To me this coffee is lacking something to cut the intensity of the tamarind and the coffee is lost do to it. This is a great drink to have on a hot day though. I would seek this out to try the combination of flavors. I hope they work on this a little to make this drink more rounded and smooth. This coffee created by Ink! 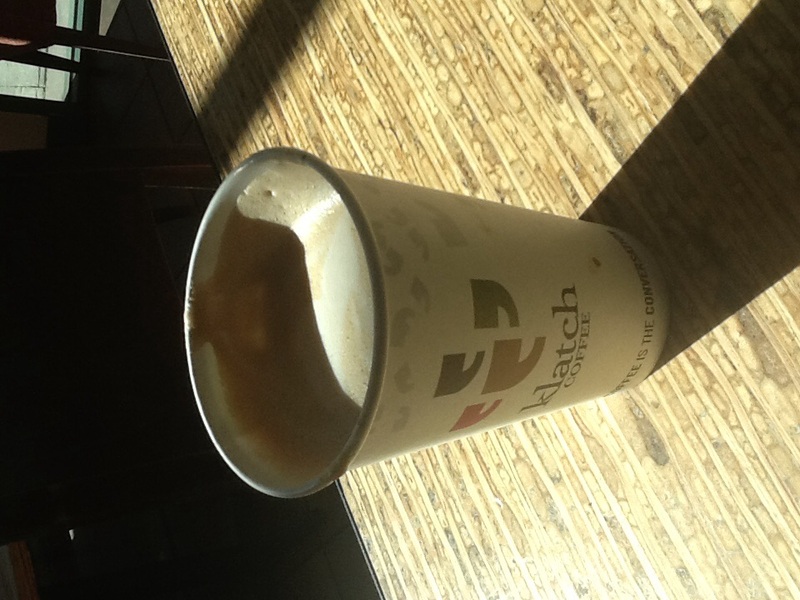 Located in Aspen Colorado is a simple drink made with Caramel, White Chocolate, Stemmed Milk and their House Quake coffee. The white Chocolate and carmel are very prominent with the coffee. The coffee it self comes through and you get a nice spice note to it along with a sleigh nuttiness like of hazelnut. There is a slight citrus note to this coffee creation like of orange blossom. This is a great coffee if you do like sweet coffee drinks but can be to sweet to most so be careful. If you do like sweet coffee then this is a great drink to try. This creation is by Yetis Grind in Vail Colorado. This coffee creation is very strong in coconut flavor and the carmel is more of a side note and does nothing to this nor does it come through in favor. This coffee is lacking in the salt and to me was just an after thought and had no porpoise in adding to taste or texture. The coffee itself was tasteless and could have been any store bought coffee that is over roasted. This was a big disappointment and could use more. 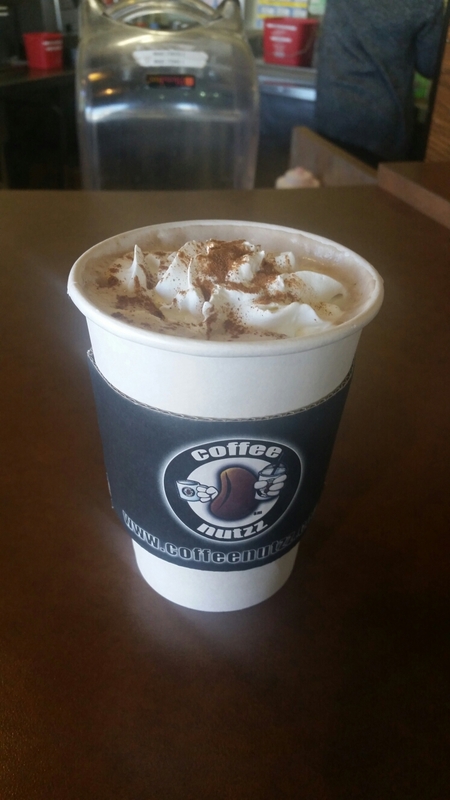 The French Toast Latté is made by Queen Bean Caffe in Yucaipa California. They use Klatch Belle espresso and real vermont maple syrup, ground cinnamon, and vanilla. The flavors of this coffee are lost once you get to the coffee itself. The top where the froth and cinnamon is true to its name and gives you the fell of french toast. The aroma of this drink is not even of french toast and is more like cream and cinnamon. Its a really weak aroma. This coffee is not all impressive and could be made at a higher temperature also. This is a disappointment that all of the flavoring they use a syrups that anyone can buy and they don't make it them self. This coffee has great potential to be great but as of now I would not go out of my way to try this. This is one of the best speciality coffee drinks i have ever had! 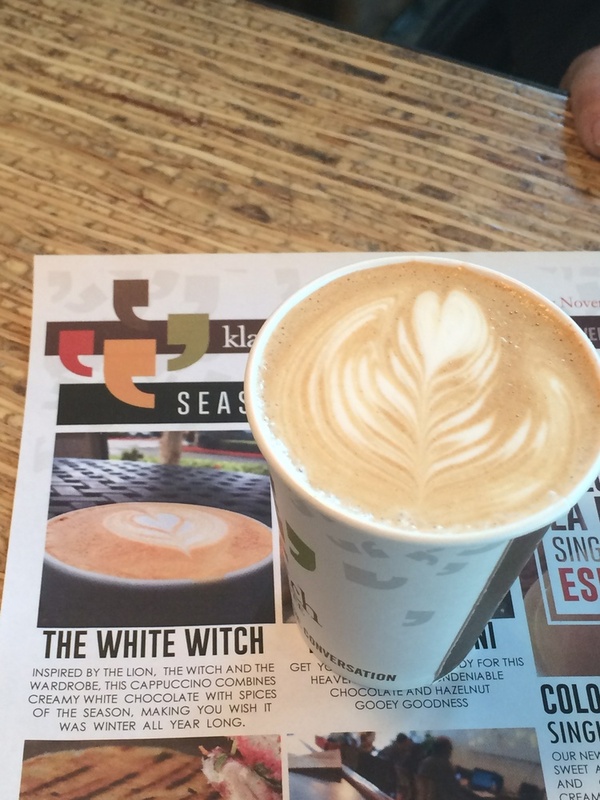 The flavors of this double latte coffee are very reminiscent to the season and in doing so Klatch has it only for a small time on their Seasonal Menu. This coffee is a Heather Perry creation and made for their stores so if you are looking for a unique speciality coffee drink or a U.S. Barista champion creation seek this coffee out. This coffee is a great balance of coffee, milk, and spice. They say its inspired by The Lion Witch and The Wardrobe and with the spices in this cappuccino drink you can see that they where trying and did a good job. The spices in this drink are lost at first but soon mold well with the espresso. The spices of nutmeg, clove, allspice are not to strong until the end of the cup where they seam to settle to the bottom. This drink is not sweet at all and with the spice it has a slight kick to it and works great. 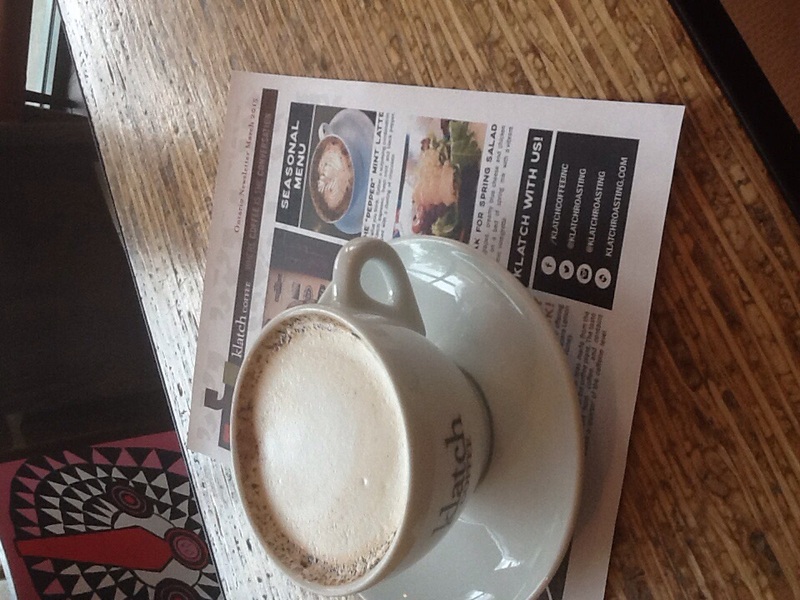 This is a great addition to Klatch's Seasonal Menu and lovers of speciality coffee drinks should try this. The new Seasonal coffee Cooling Coconut Lime Created by Heather Perry of Klatch Coffee Roasters is a layered espresso drink of simple syrup, coconut milk, then their Belle Espresso and topped with lime juice and a lime wedge. This drink at first sip is overpowering of the espresso but if you mix it all together, the flavors combine into a wonderful trip on your pallet. Their Bell Espresso with the coconut milk works so well with the espresso's caramel and Chocolate flavors that its hard not to drink this on a hot day or want to drink this on the beach and watch the sunset. This is a must try for people who love to try new variations of coffee drinks and people who love the craft of coffee.